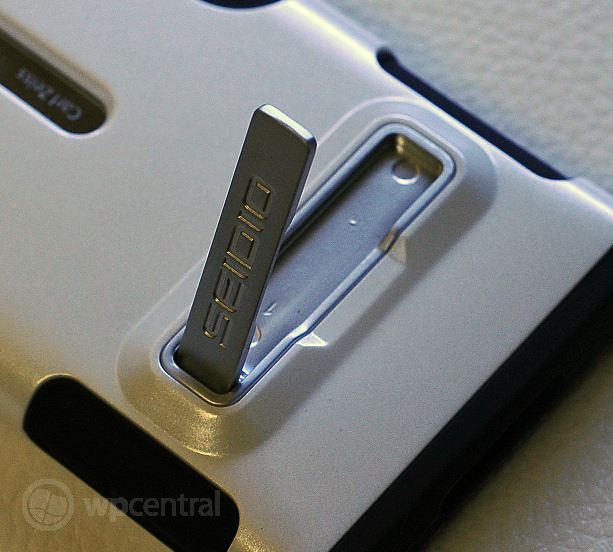 We have a deal running all week on the new Seidio ACTIVE case for the Lumia 900 so we figured we might as well review it for ya, in case you were curious. The ACTIVE case (yes, it’s in all caps) is one of those new hybrid cases where it comes in two parts—one super soft rubber the other acts as a hard frame. The combo gives a unique design and some great benefits including a built in kick-stand. The Seidio ACTIVE case comes in a variety of colors to fit your needs including black, white, purple, red and blue. 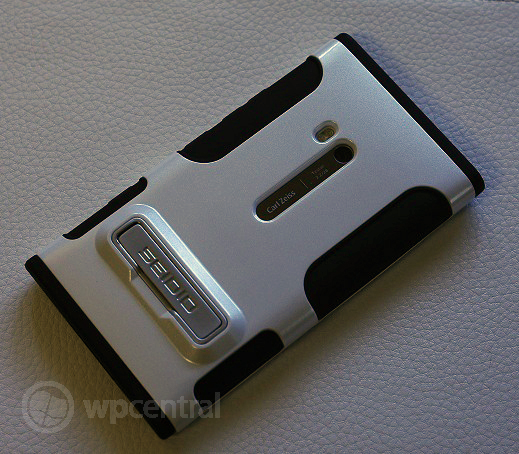 I opted for the white one to match my white Lumia 900. Seidio has always been one of my favorite accessory companies. Pricey? Sure but the quality and unique designs keep my coming back—I’ve used their quick release holsters for years in the Windows Mobile days and I’m glad to still see them around. As mentioned earlier, the case comes in two parts—the rubber soft shell and the hard exterior frame. You simply slide the rubber sleeve over and then snap the hard shell over it. Removing the assembly is easy too without much struggle. Probably the big seller here is the build in metal kickstand. While it’s not spring loaded, it does seem sturdy and well built. The device is very stable in this position and doesn’t seem like it can be pushed over easily i.e. it’s well balanced. Does this case add bulk? Yeah, of course it does. Is it acceptable? From my perspective yes. For one, the design is real slick and I liked showing it off in public. 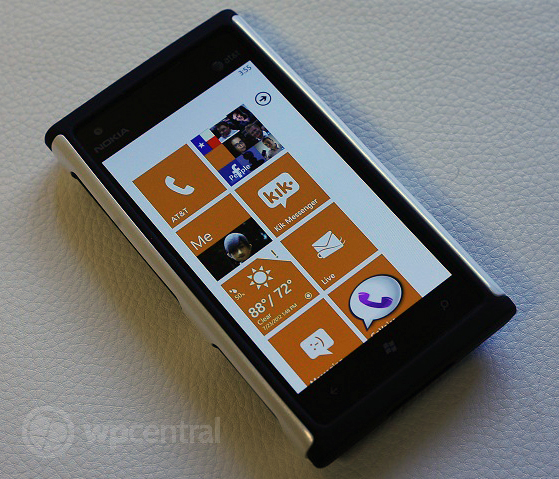 It’s of course not as nice as the Lumia 900 “naked” but it has cool look to it. How’s the protection? It’s below and Otterbox (e.g. Commuter) but way ahead of just the neoprene cases and sleeves that are out there. It’s a great case if you need to head to the gym, go for a run, work outside, etc. While it has no screen protection, dropping the phone should cause significantly less worry with this case on board. In conclusion, for the sale price of $20 it’s a good case—well designed, feels good and I had no problems using any of the buttons. 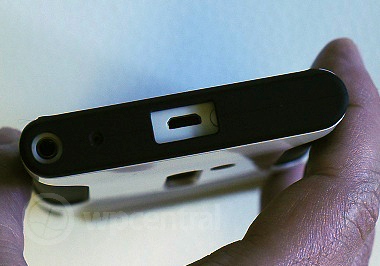 There is even ample room for the headphone jack which is good for those who listen to music on the go. 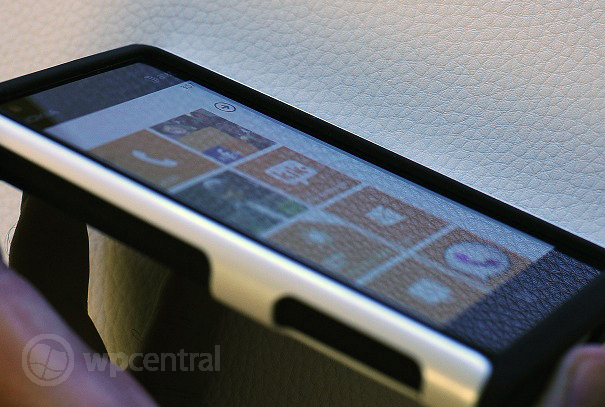 You can pick up the Seidio ACTIVE Case for the Lumia 900 for $19.95 this week only (normally $34.95). You can also add in the Seido ACTIVE Holster which is $26. While that holster is pricey, it superbly built with the quick release tab and rotating belt clip. The screen faces inward for added protection.